DAVID LE/Staff Photo. 2/13/15. 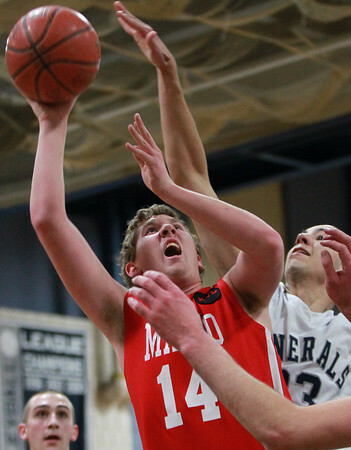 Masco junior forward Alex Spaulding (14) goes up strong the hoop before Hamilton-Wenham sophomore Max Zegarowski, right, can get in to block his shot.